Trump's Monday morning tweet heightened fears about the economy being destabilized by a president who wants control over the Fed. Its board members are nominated by the president, but they make decisions independently of the White House. BEIJING (AP) — Japanese stocks plunged Tuesday and other Asian markets declined following heavy Wall Street losses triggered by President Donald Trump’s attack on the U.S. central bank. The Nikkei 225 fell by an unusually wide margin of 5.1 percent to 19,147.45 points. 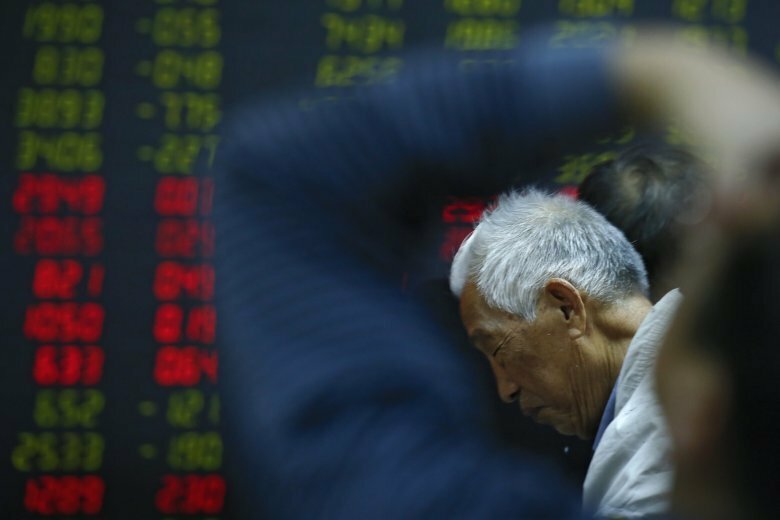 The Shanghai Composite Index lost 2.1 percent to 2,473.75. Benchmarks in Thailand and Taiwan also declined. The market has been roiled by concerns about a slowing global economy, the trade dispute with China and another interest rate increase by the Fed. Trump’s Monday morning tweet heightened fears about the economy being destabilized by a president who wants control over the Fed. Its board members are nominated by the president, but they make decisions independently of the White House. The board’s chairman, Jerome Powell, was nominated by Trump last year. The Standard & Poor’s 500 index slid 2.7 percent to 2,351.10. The benchmark index is now down 19.8 percent from its peak on Sept. 20, close to the 20 percent drop that would officially mean the end of the longest bull market for stocks in modern history — a run of nearly 10 years. In currency trading, the dollar gained to 110.15 yen from Monday’s 110.45 yen. The euro advanced to $1.1417 from $1.1405.